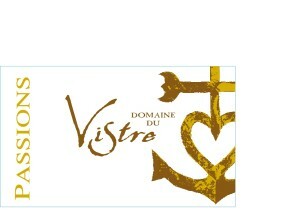 The vineyards are located are in the ‘valle du Vistre’ hence the name of the domaine. Here, the soils are a mix of clay, sand, gravel, silt and full of pebbles, rounded from thousands of years of overflowing waters from the Rhone river. This soil is perfect for varietals like Cabernet, Merlot and Syrah. This is a lush, juicy medium bodied 100% Cabernet from the south of France. Although many reds from the sunny South of France can achieve very high levels of alcohol this wine sits at relatively modest 13% and the wine is truly balanced. On the nose we are met with hints or licorce and black fruit. The wine is ripe, without being "jammy" not at all tannic this wine sees no oak and is bursting with blackberry jam, coffee/mocha and even a touch of mint. Delicious and a very versatile when pairing with foods.